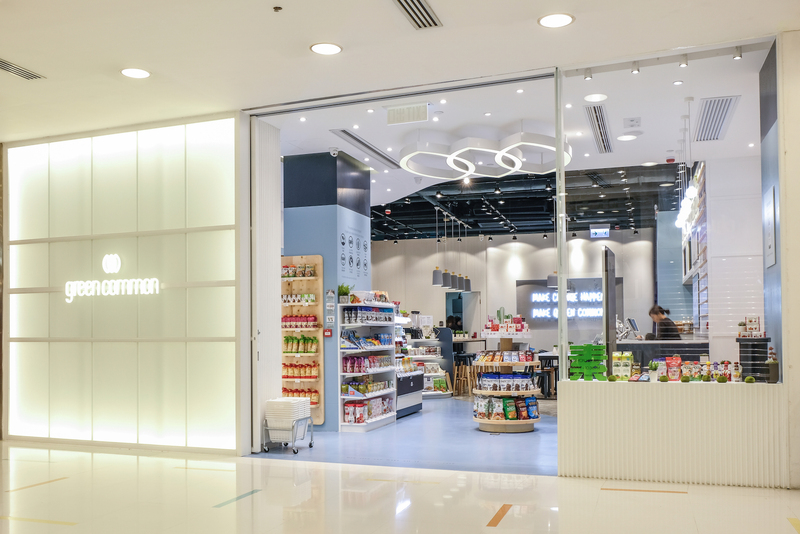 When plans were announced for Green Common’s latest vegetarian shopping and dining outlet in Kowloon, Hong Kong, the lighting design needed to reflect an environmental focus, maximise the aesthetics of the store and create a comfortable ambience. As such, Megaman provided a range of high performance, energy efficient solutions to meet the store’s requirements. 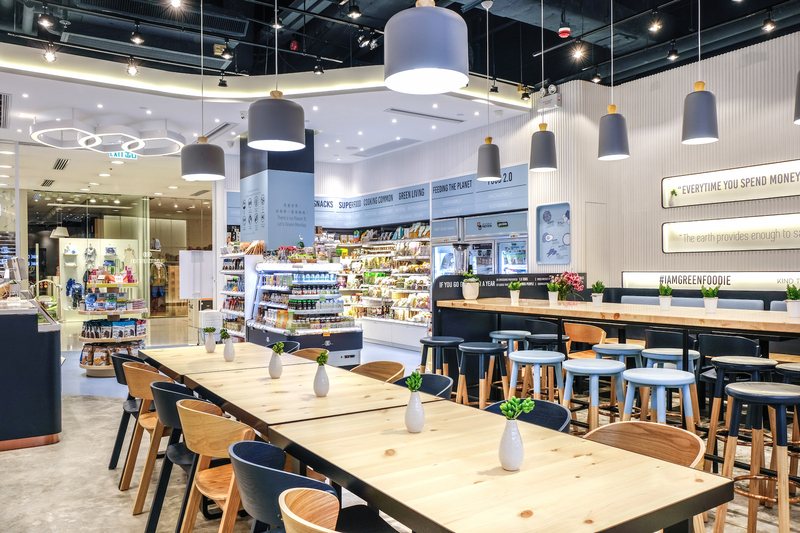 Green Common’s new Kowloon branch features over 100ft2 of retail and dining space – offering a wide range of plant-based food whilst tackling the wider environmental impact of the livestock industry. Its futuristic approach to food production and eco-living meant that having an energy efficient lighting scheme was high on the agenda for the consciousness business. As such, Green Common’s team turned to Megaman, a manufacturer of low energy lighting. Due to the building’s high ceiling, the new branch required an even distribution of light to ensure that customers could enjoy a comfortable shopping and dining experience. Megaman Zeki Ø50 Gimbal Luminaires were among the specified products that helped to provide an ideal solution. Compatible with Tecoh THx LED light engines, Megaman’s hybrid reflector technology enhances beam control and efficacy, while minimising light spill. In addition, the lamps reduce glare and eliminate the ‘visual noise’ of multiple lens arrays, with far greater efficiency than the traditional halogen reflector. An energy efficient lighting scheme was high on the agenda for Green Common’s new branch. The even distribution of light was further enhanced by the additional installation of Megaman ESTA integrated LED track lighting. Using Megaman’s patented Thermal Conductive Highway (TCH) technology, ESTA track lights deliver high quality and comfortable lighting – featuring a precise beam, which is often desirable for accent lighting. Due to outstanding light output, the Megaman ESTA range is an ideal alternative for halogen AR111 track lights. Suitable for retail lighting, the simplistic and neutral design makes the most of Megaman’s signature reflector aesthetics and creates a stylish track lighting to suit contemporary aesthetics.